A group hug is in order. On to some garden firsts. Just as I was heading away from home for a few days, I notice that the first strawberries of the season were beginning to ripen. A few days later upon my return, I headed out to the garden to harvest those berries; only to discover that they had all disappeared, except for one. First Blue Bird babies of the season have hatched. Their sweet little chatter and the back and forth feeding of the parents, keeps my heart very happy. Sadly at another box, I heard a cry of distress and went to investigate. The male had discovered that the family had been wiped out by a black snake. I was telling this story to some ladies the other day, and one of them said to me “Well Kim that is just the way of nature.” It may well be, but I don’t have to like it. Fat full black snake, smiles as he hangs his head outside of the box. I’ve placed bird netting below the other boxes hoping to deter the snake from more snacking or in partaking in the way of nature. I harvested my first batch of fresh from the garden basil. As I walked through the herb garden, I brushed against the herbs, releasing all the heavenly aromas. It was drizzling, cool but humid and the scent of rain, mulch and herbs hung in the air. I don’t measure – use what feels right to you and taste as you go. Whirl it all up in a food processor and enjoy on your favorite crusty bread or crackers. 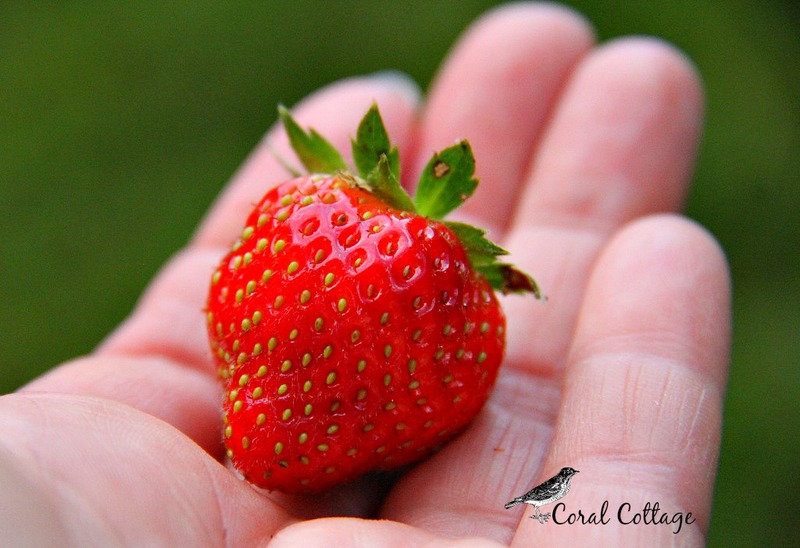 What kind of garden firsts are you experiencing? 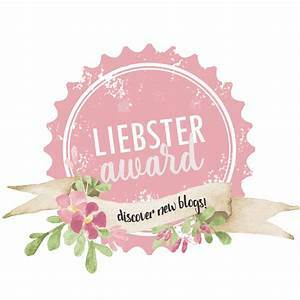 Kim of Red Dirt Farm • This entry was posted in Cooking, Country living, Gardening and tagged basil pesto, black snakes, blue birds, fluvanna virginia, gardening, harvesting, herbs, life at coral cottage, straw berries. Bookmark the permalink. Mary – you crack me up – eating your hand, yeah I get that. 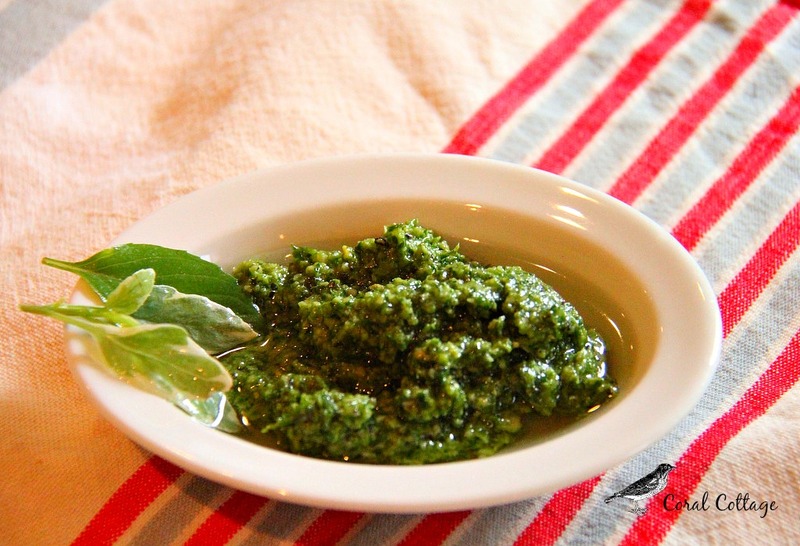 I actually used the pesto to make pizza for us the other night. My dad has been making bird houses and I have them all over the place. 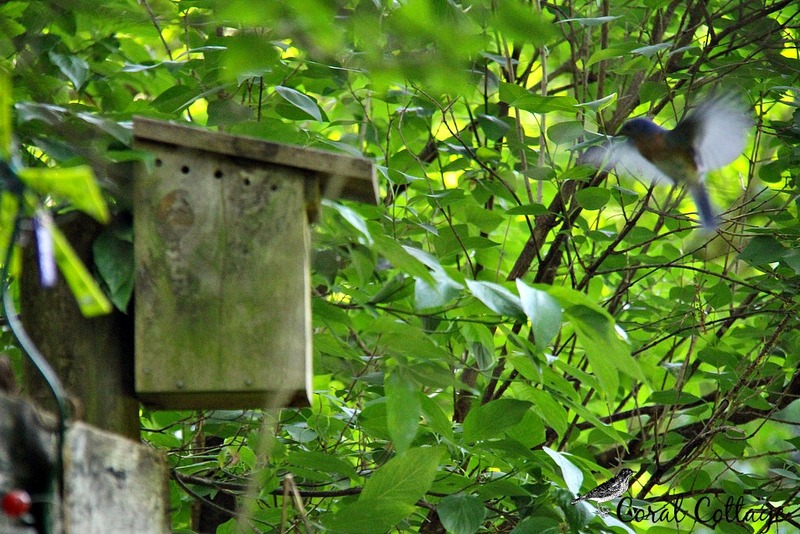 The blue birds have taken to their houses so well and it has brought me many hours of entertainment. Last year dad made a purple martin house for us. We are still waiting for occupants. I hope you get some fabulous photos that I know you will turn into beautiful art. I so wish I could see your work in person. xo. Some lovely firsts! 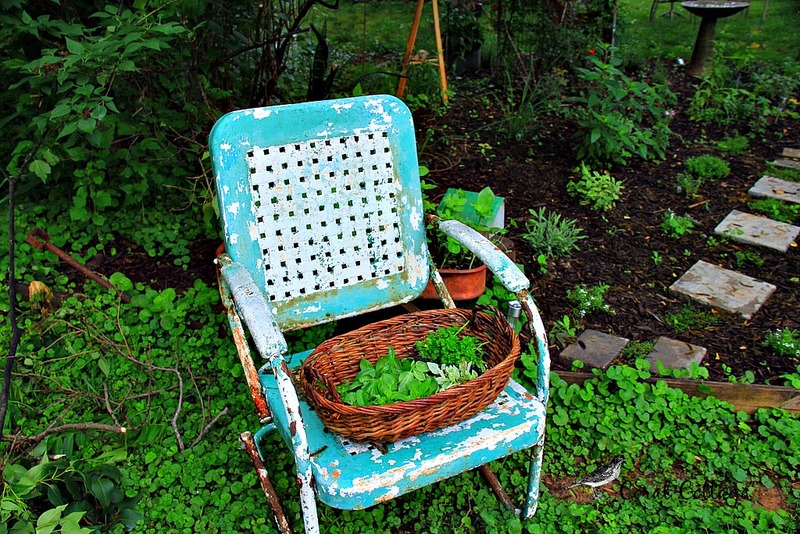 And, your chippy turquoise chair is the best! A garden first for me are carrots and spaghetti squash and both are rising out of the soil beautifully! And, I planted an elephant ear which has just sprouted in the last week. 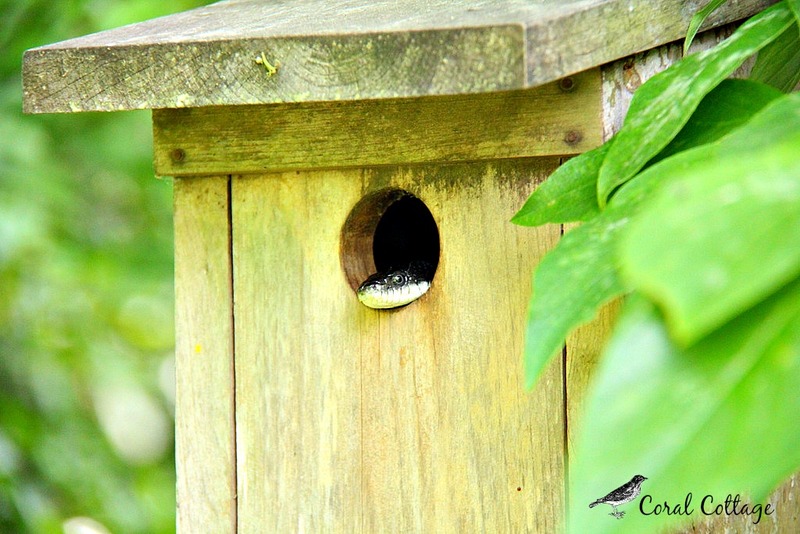 We’ve had snakes get in our bird houses, too. Dad eventually put a piece of square plexiglass around the hole and we’ve had no more snakes. You’d have to research this – I don’t know where he got the idea. I love that old chair. I would love to have 2 and I read about people finding them for free but do I ever find them for free? No, of course not. Ms. Chairman of the garden – I assume your dad cut the circle out first? HA HA. Hideous snakes! Be gone! I so love your photos!!! !